As the cost of doing business rises in Singapore, small to medium enterprises are the first to feel the brunt. However, there is no need to hit the panic button and close shop just yet. Here are some tips on how to maintain a sustainable business, if you’re running a small to medium sized enterprise (SME). Accept the change.. and run with it! The sooner you accept that rising business costs is part and parcel of doing business in any robust jurisdiction, the faster you can move ahead and make something of it. Have a clear strategy in place. 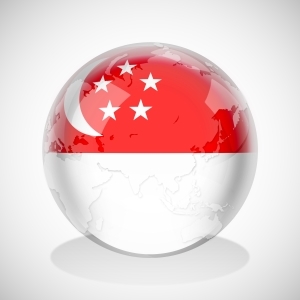 When you registered a Singapore company, what were your dreams and aspirations for your business? Keep that goal in sight and focus on the light at the end of the tunnel. Then chart your steps to reaching those milestones. How many business development managers do you need? What are your expected returns for investing in two company vans vis-a-vis contracting a courier service? Doing a SWOT (Strengths, Weaknesses, Opportunities and Threats) analysis right from the start would not only prevent you from derailing from your objectives, it saves you time, money and quite possibly, tears. For day-to-day operations, it is of utmost importance to establish standard operating procedures (SOP). From answering calls to responding to difficult clients or vendors, it is important to get separate teams to understand one another’s roles in the larger company ecosystem instead of working purely in silos. As your business grows, having a proper protocol to guide respective departments not only mitigates confusion amongst employees as everyone will know their designated tasks. In turn, this positions a company favorably before the client as the latter benefits from a one-face-to-the-customer approach. This could in turn save your firm time, effort and energy that could potentially be wasted by not having a proper SOP in place. Understanding your place in the market can help you better identify the gaps that you can fill and determine your competitor’s strengths or weaknesses. From there, think of how you can change the game. Most importantly, keep your employees happy. In an economic climate where getting another headcount (or more) is akin to getting blood out of stone, small businesses are in better stead if they keep existing employees happy. Not only are they the arms and legs of your business, they help make your clients happy which in turn benefits your business. So how do you do you keep your good employees and make the high potential ones better at what they do? Lead by example: The Tripartite Alliance for Fair Employment Practices(TAFEP) has published numerous easy-to-read guides to encourage company directors and managers like you to lead your pack through respect, trust and dignity. Have a dedicated HR unit: Employ a HR manager to look into the interests and issues of your employees. This not only saves you the headache of attending to various employee issues, it allows you to focus on the business. Make your employees connected to their work: Keep your best and brightest engaged and committed to the quality of work that they do. Keep the work challenging and interesting for them. Reward them when they do well and encourage or guide them when the team runs into roadblocks.